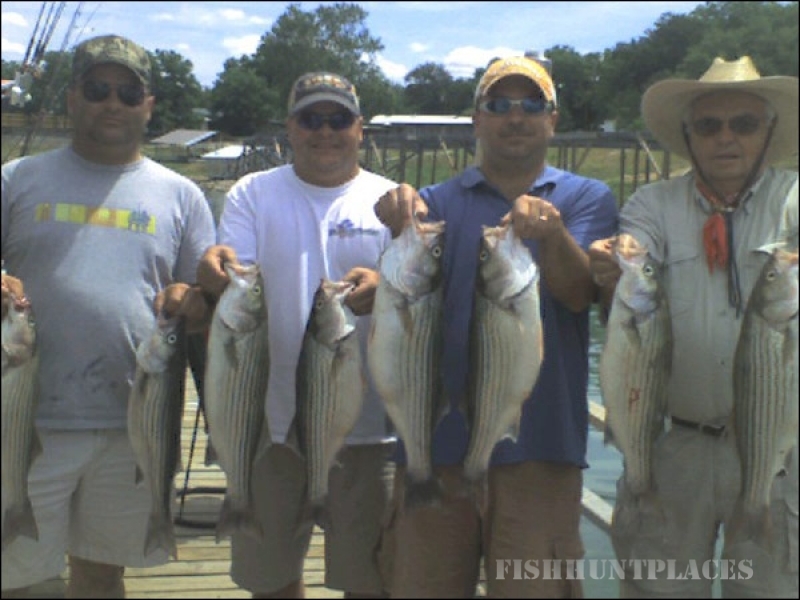 Rick Ransom Guide Service provides expert guided striper fishing trips on Lake Buchanan, located on the Highland Lakes in Central Texas (just west of Austin, Tx). 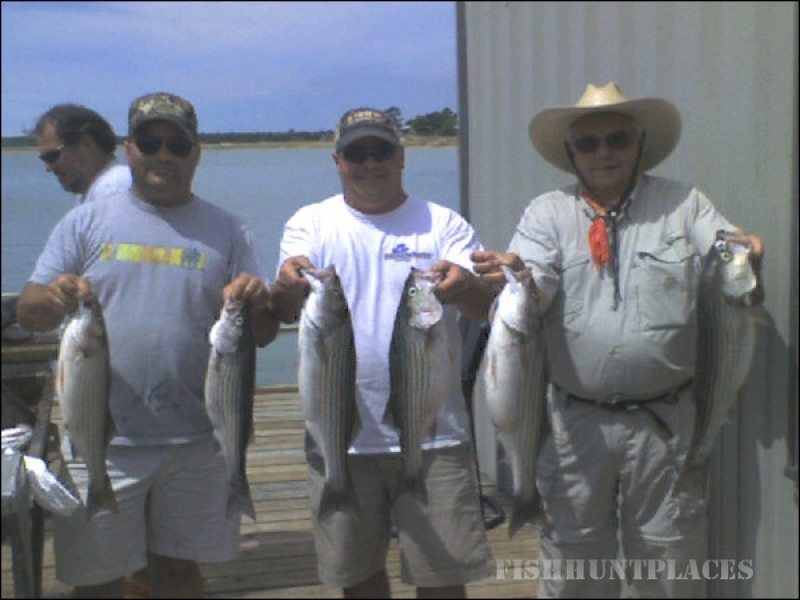 Buchanan is a big lake with plenty of fish and its known for excellent hybrid and striped bass fishing. The trick is knowing how and where to catch them, that's where an experienced guide can help. 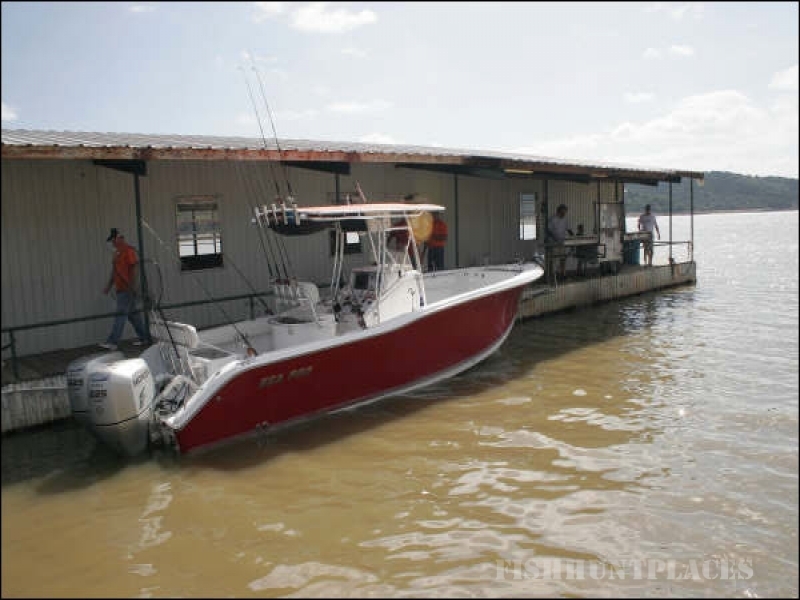 I've been fishing Lake Buchanan since 1985 and have been working as a full- time striper charter boat guide since 1992. I have been a fisherman for 40 years and enjoy showing people how to catch big fish. Kids and ladies welcome - no baiting hooks or casting - anyone can catch fish! Striper Fishing with Live Bait is Fast and Furious! I fish with live bait, either drifting or anchored. 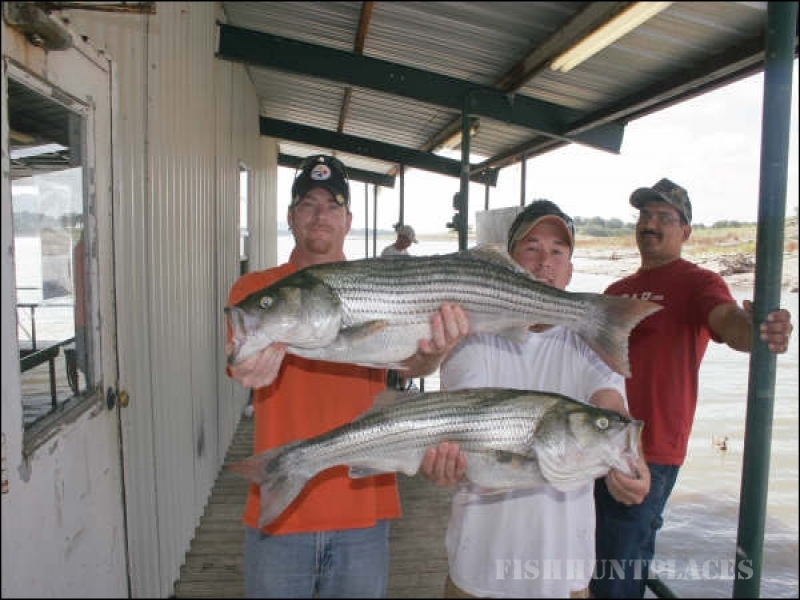 Striper fishing on Lake Buchanan is generally good year round, with August and September being the slowest months. What time of day is up to you - we do morning, afternoon or full day trips. Limits on striper are 5 fish, 18" or longer per person. I work out of Paradise Point in Tow, Texas, but will pick up at most resorts on Lake Buchanan, just give me a call at (325) 379-1340, (325) 423-1334 or send an email to make arrangements. 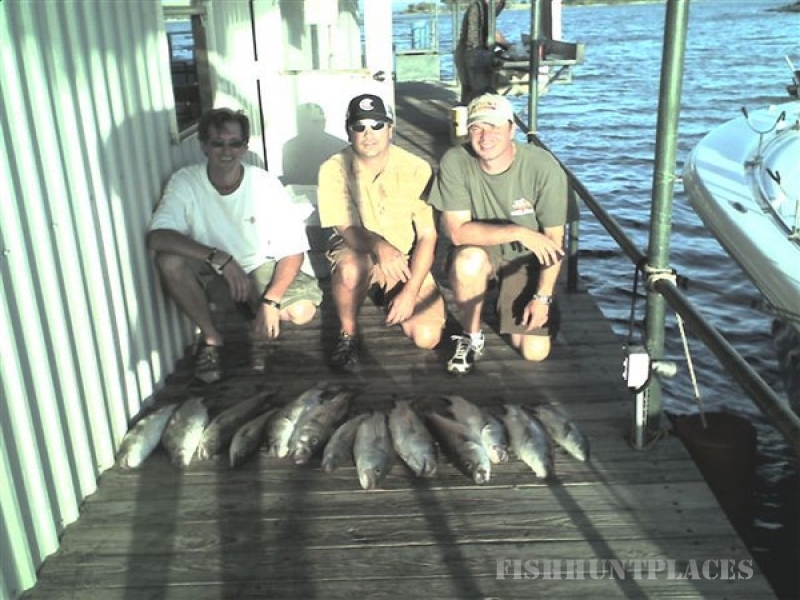 We provide everything you need, bait, rods & reels and filet and bag your catch. The only thing you'll need to take care of are food & drinks, and of course an ice chest to carry your catch home. 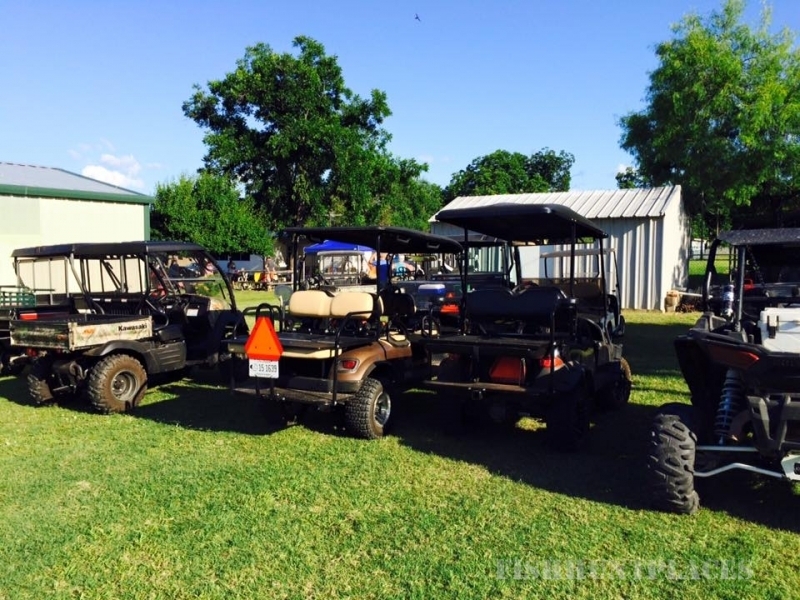 Be sure you bring your current, valid Texas fishing license . Kids under 17 can fish without a license. For more information on fishing license requirements, click here.